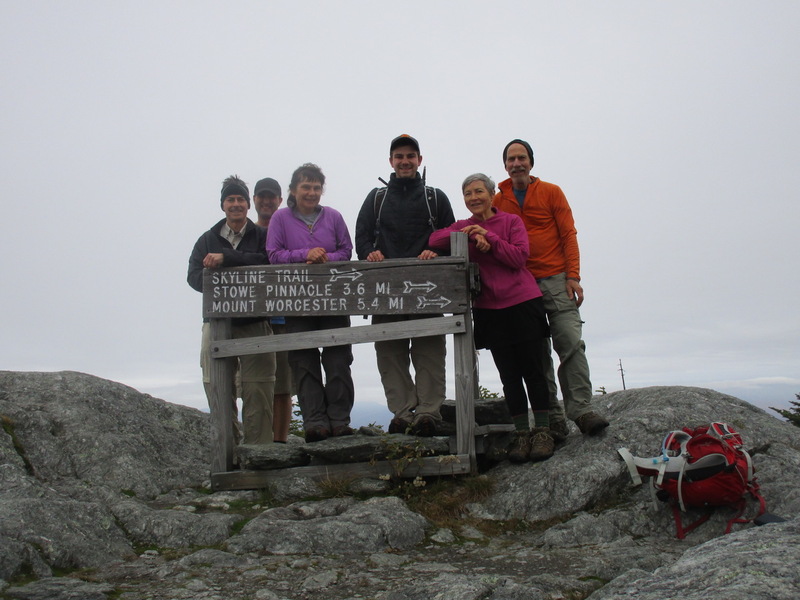 Six intrepid hikers met the difficult challenge of climbing Mt. Hunger via the Middlesex Trail and continuing along the Skyline Trail to Mt. Worcester. The foliage was stunning, but views diminished during the eight-hour trek as clouds moved in and light showers caught up with the group on the Worcester descent. It was a record length hike for one of the group - at nearly twelve miles doubling anything he'd done in the past!